As kids, we grew up believing in magic. We believed in the impossible things and trusted that we can do anything and be anything we wanted to be. But as we got older, our belief in such 'magic' dimmed and got clouded by what adults call, “reality.” It turned us into thinkers, rather than dreamers. Thankfully, we no longer live in an era when being creative is seen as a 'waste of time'. 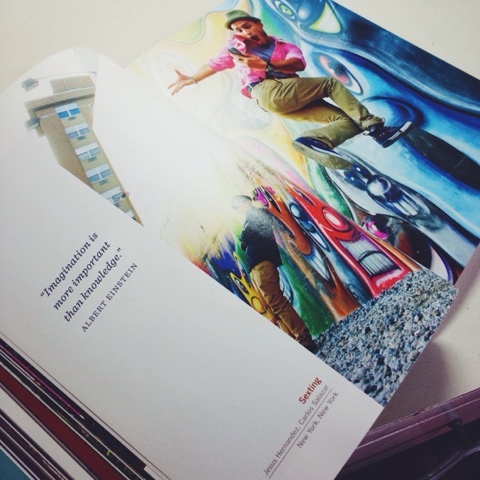 Slowly, people are starting to see and appreciate the importance of feeding your passions. One man who was able to preserve that passion was Jordan Matter, a New York-based photographer who came out with a book entitled, Dancers Amongs Us, last 2012. The whole theme of the book is capturing moments; the moments in life that, although are routine for us, can be blissful and significant. His muses for the project were dancers. In an interview with DS2dio 360, Matter described dancers as “the ideal people to photograph” because of their artistry and expressiveness. 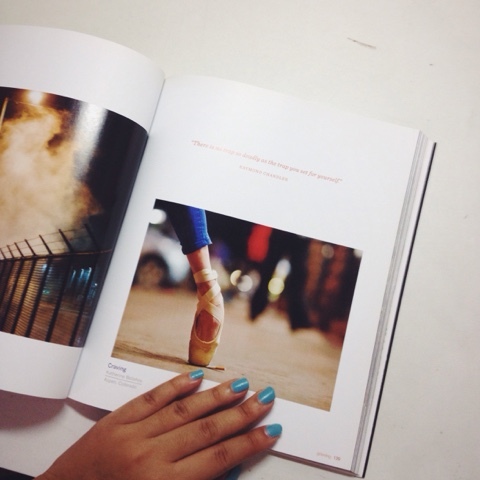 He believed that “dancers are storytellers,” which is why he chose them as his collaborators. 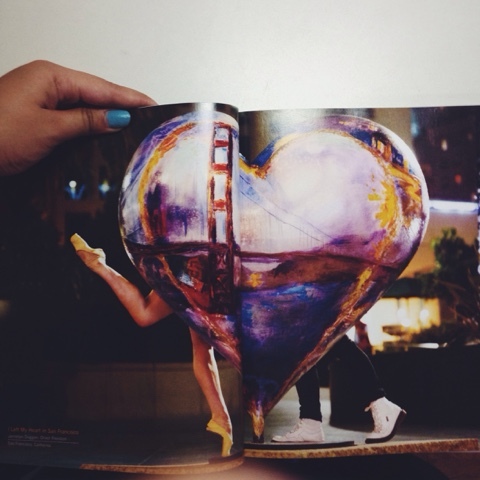 Actions speak louder than words in this book. 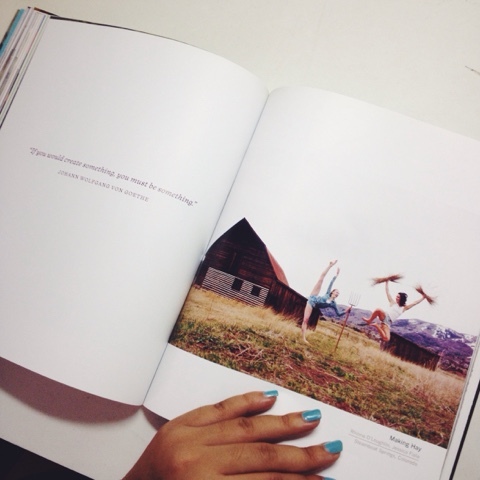 Page after page, you'll see dancers leaping, defying gravity, doing amazing poses, and even cheating death--each one telling a story that shows you how colorful life can be, if you only know how to live it properly. With the process of capturing these amazing photographs, they were done in what Matter calls "gorilla mode" wherein everything is done in real-time. Meaning, everything that is captured on camera is exactly what's happening in the moment. No tricks, no photoshop, and no special effects. "There were very few shots that were easy. More often than not, it was very difficult because it was dangerous, because nothing was photoshopped," he said. He also described it to be a very collaborative process between him and his storytellers. "I would send out a tweet or a Facebook post, saying I'd be in this place and local dancers would just come and we'd do just do it," Matter said when I interviewed him last 2013 via Skype. Location was another challenge for Matter during his shoots. “You know, I never asked permission, so we would sneak into places and very often police would arrive,” he added. This, I feel, added a bit more authenticity to the photographs because they really did capture what it was like to live in that moment. What you see is literally what you get. Plenty of other photographers surely have thought of the same concept; sure they have the dancer holding a pose, the lighting, and the beautiful background, but unlike Matter, they weren't able to do anything other than get the viewer to say "wow." “I think it's a great compliment, although, the element that they were usually missing was the story,” Matter said. 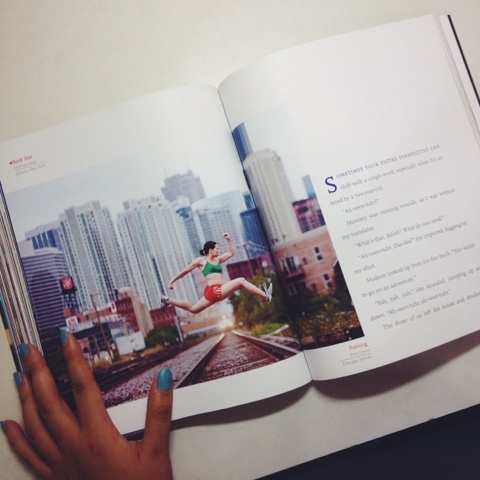 In his book, each picture, each chapter, is relatable to at least one person’s life. They depict a moment in life that, although it does not necessarily show what you look like, expresses an emotion or a thought you had during that one moment. The book is filled with different chapters-such as loving, playing, grieving, working, etc.-that beautifully capture the different fascets of life. Matter says it's all about "how far you're willing to take or exaggerate reality." They say a picture's worth a thousand words; and it takes a very talented, daring, and passionate photographer to be able to do just that. This book made me believe that we should never stop dreaming, even as we grow older. 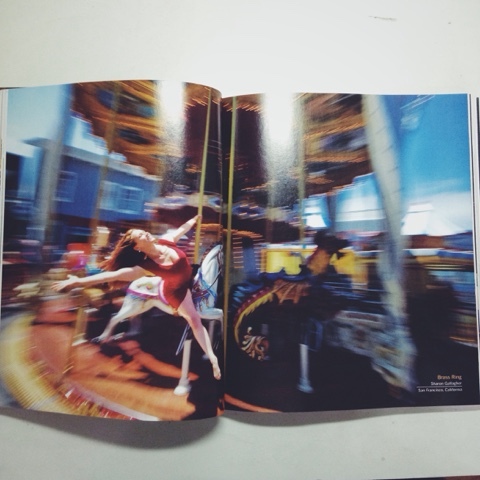 But overall, this book made me fall in love with dance again. It’s something definitely worth reading, even if you're not a dancer; Perfect for anyone who wants to tap into their inner-child and re-ignite that passion they once had. 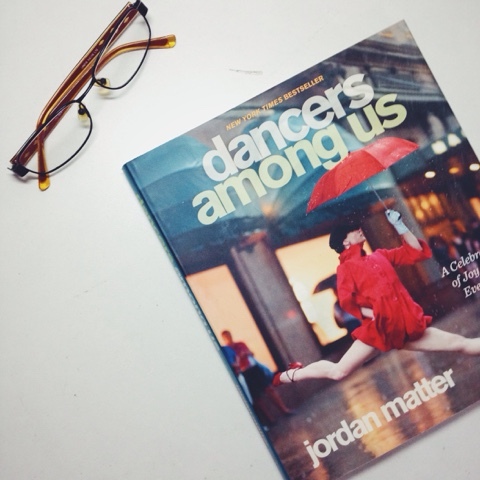 Since then, Matter has published several follow up books, such as Dancers After Dark, Tiny Dancers Among Us, Athletes Among Us, Circus Among Us, and Uncovered. In just a short amount of time. Matter has proven to be one artist everyone should keep an eye on. I can't wait to see more of his work. 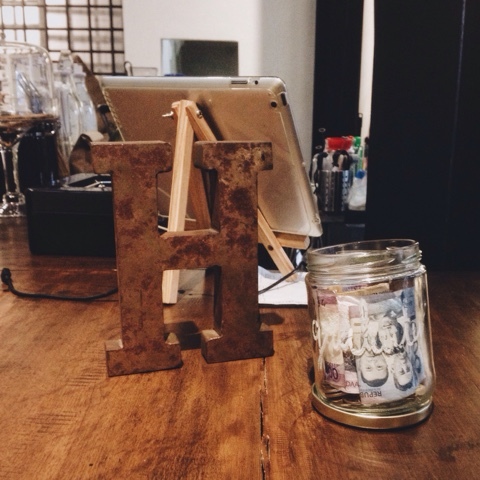 Coffee Crawl: Habitual Coffee, Chino Roces Ave. If there's one thing I know about third-wave coffee, it's that not everyone is going to like it. I first heard about Habitual Coffee when I attended Coffee Crawl, an event hosted by Green Sun Hotel last October that allowed different third-wave coffee shops to showcase their specialty brews and give a deeper meaning and appreciation for coffee. So being the coffee lover *ahem addict* that I am, I decided to head over to their café at 2135 Chino Roces Ave., in Makati and see what made Habitual such a habit for avid coffee-drinkers. - Habitual Coffee is backed by a team who currently holds the titles for the 2015 Philippine Aeropress Champion and 2nd Runner Up for the 2015 World Aeropress Championship. 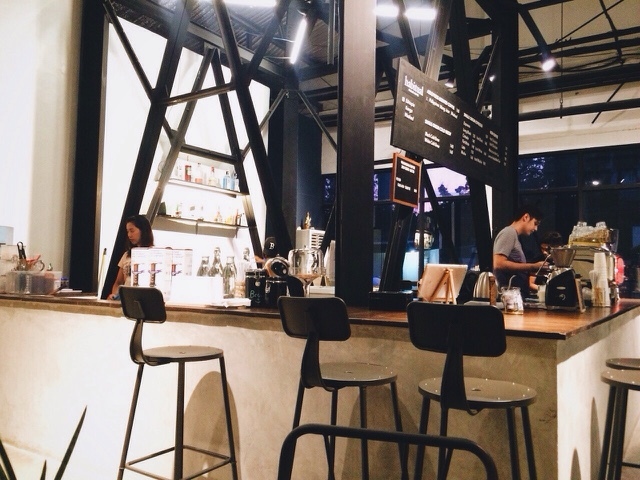 - According to an article on pepper.ph, every coffee product on the menu is made only in one way: via aeropress. - Aeropress is both a device and system that is used in brewing coffee. The process involves steeping coffee for 10-15 seconds (depending on grind and preferred strength) and then forcing it through a filter via a plunger. 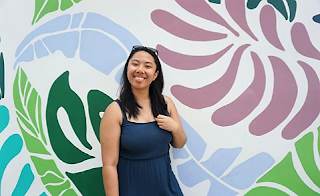 - With regards to coffee sourcing, Habitual likes to focus on local roasters and those within the Southeast Asian region; hitting it close to home. 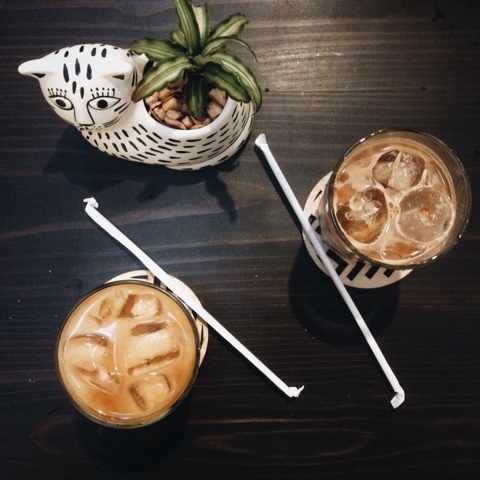 On my visit with my friends, Kristelle and Pam, we tried their White Cold Brew, Flat White, and Iced Mocha. It was our first time trying aeropress coffee, and we found that it wasn't like the sugary, sweet, and syrupy coffee we usually have. It was smoother, a little tangy, and a lot stronger. Not exactly what you'd be used to, even as an avid coffee-drinker, but it's something definitely worth trying. Coffee has come a long way from the idealogy that it's just something to help you crap or stay awake. 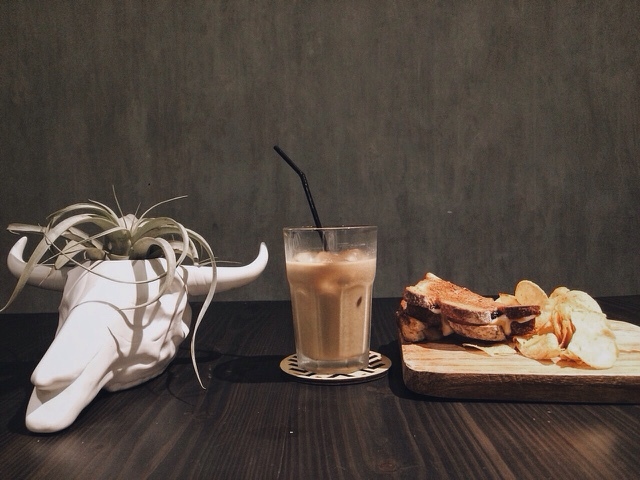 We're in a generation where coffee is now considered a social experience, and even an art form. The only way, I feel, we'll be able to appreciate places like this is if we actually have or develop a love for the brew, itself. Third-wave coffee is just coming to it's peak in the Philippines. 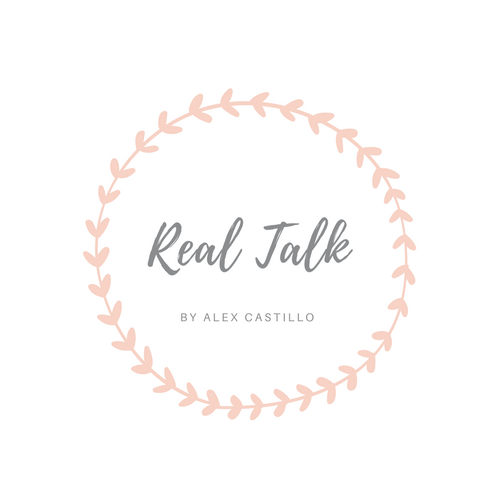 What with shops opening left and right, there is evidently a growing sophistication within the Filipino food industry that makes me think that we're ready for more innovative ideas when it comes to our food and beverages. Just you wait. Have you ever been to Habitual Coffee? Let me know what your favorite beverage is in the comments below. If there’s one thing I love about living in the Philippines, it’s that we are surrounded by beautiful beaches. What with 7,107 islands, there’s bound to be an adventure in every one. 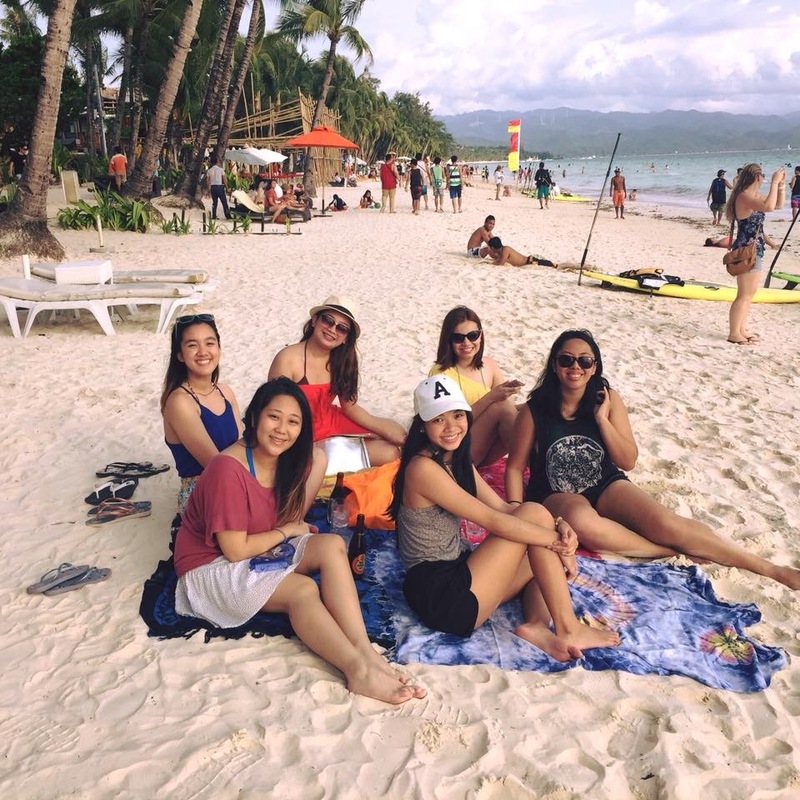 It is a huge misconception that when you get to Boracay, what you see is what you get, when it comes to beaches. 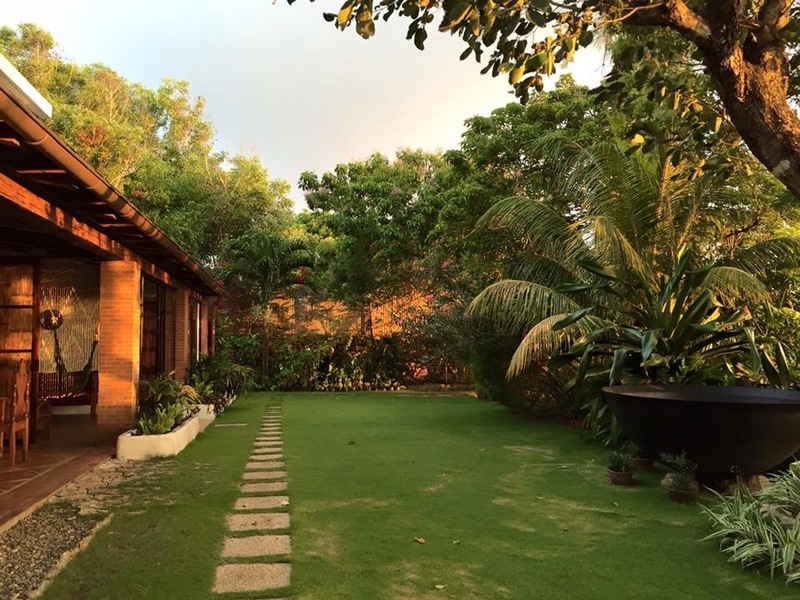 There are some neighbouring islands that are just as beautiful as the White Sand Beach in the main island that you can go to and less commercialized. Travel tip: When planning your trip in the main island, there will be a lot of guys coming up to you asking to book activities with them, but the safest way you can go is to book your plans with the men wearing dark blue shirts, usually found in front of Astoria Boracay in Station 2. So this is usually part of a packaged island hopping tour, but I felt like it should be mentioned separately on this list. You can do this while on Magic Island. Sure, at first, it will be scary, especially once you’re already on the edge of the diving board, but trust me, it’s worth it. 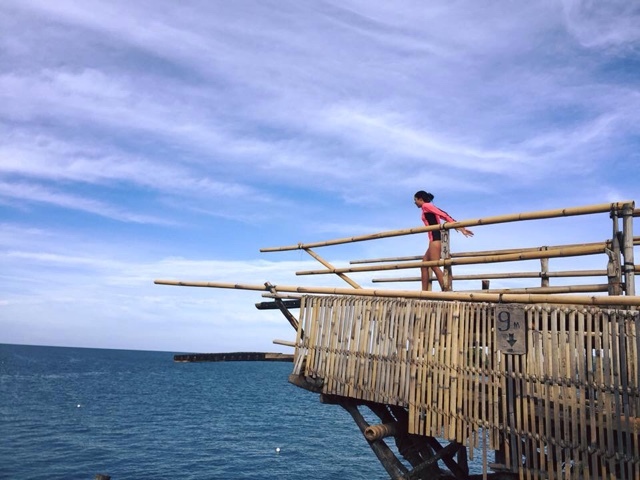 There are different heights that you can jump from, so don’t worry about it so much. Who wouldn’t want a frozen cocktail on a hot summer day on a beach? Not to mention, you get a free tumbler with the color of your choice and discounts on refills. It’s seriously sooo good. 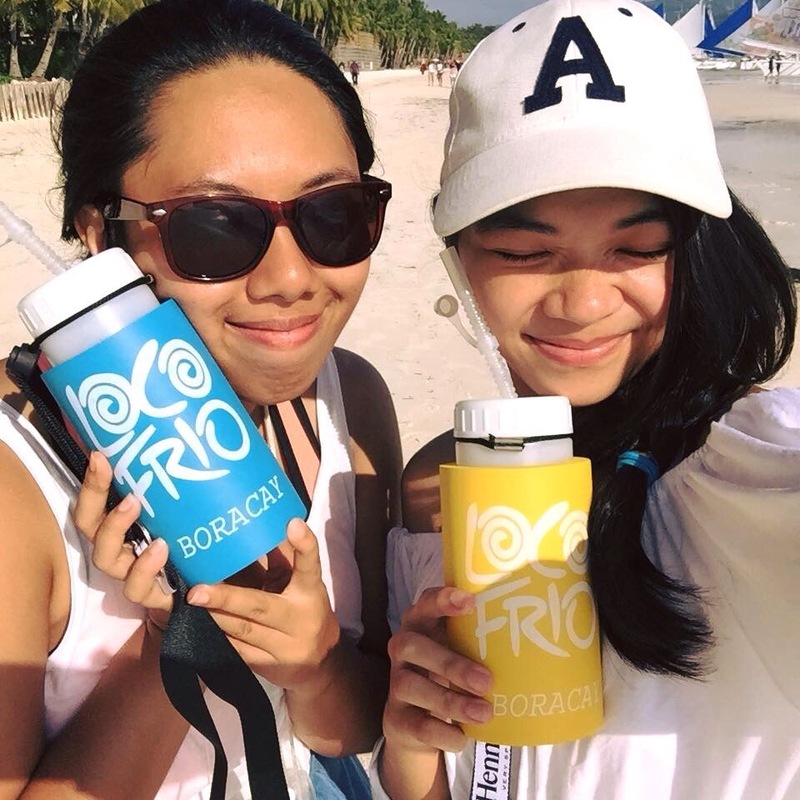 Travel tip: My friends and I spent a day and a half looking for this place, so to make it easier for you guys, the exact location of Loco Frio is at the Boracay Uptown mall in Station 2, just in front of Sbarro. Remember to drink moderately! 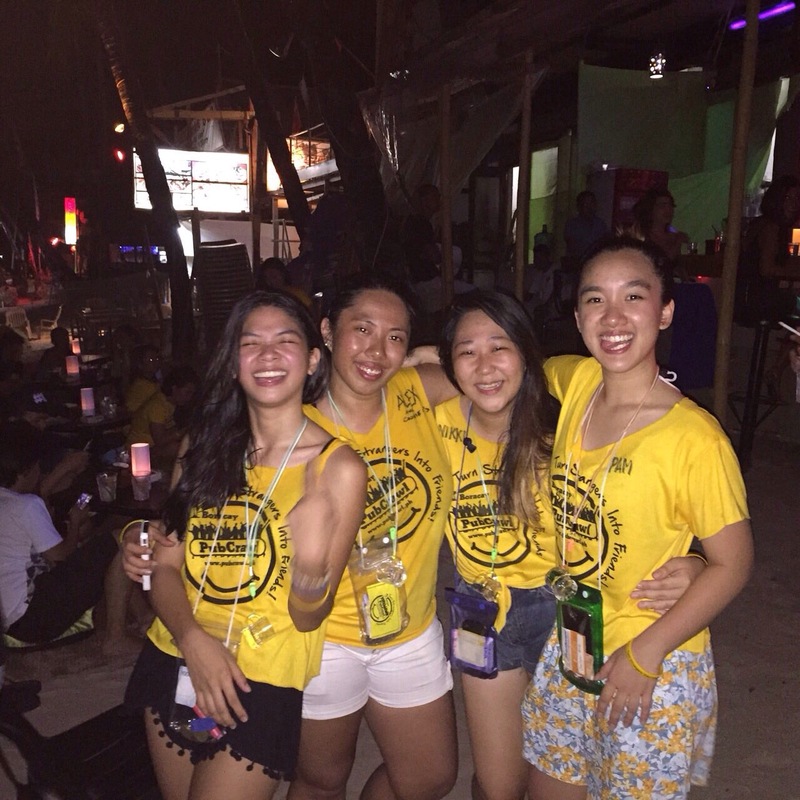 As their tagline goes, “there are no strangers, just friends you haven’t met yet.” To give you a better understanding of what Boracay Pub Crawl is, it’s basically an organized bar hopping event where you get to play games, meet new people, drink, and all that in between. 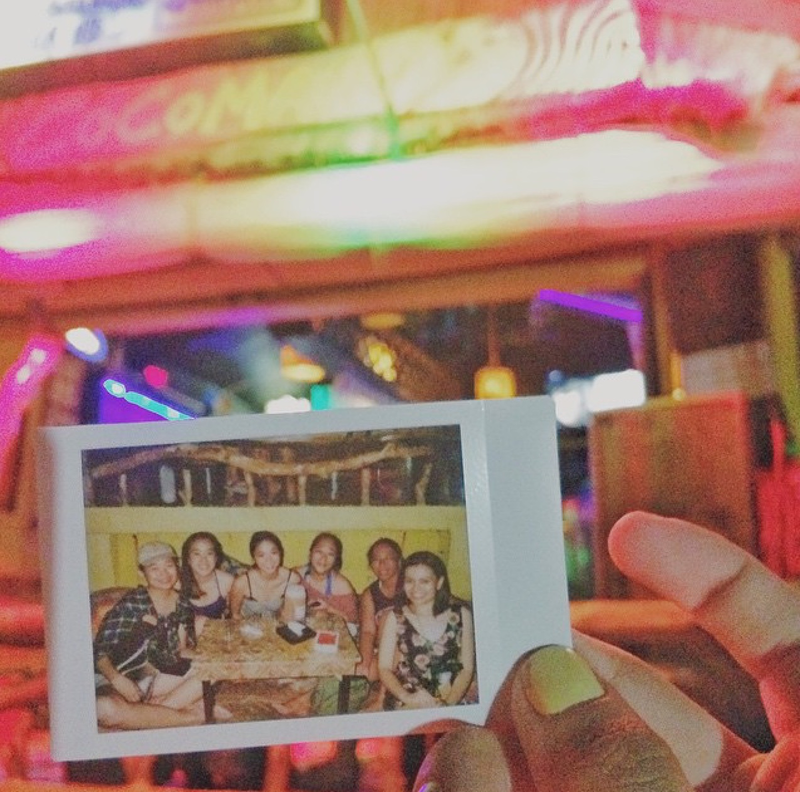 It’s probably the best way to experience the club scene in Boracay. Travel tip: If you can, sign up for Pub Crawl early; preferably a day or two days before your planned date, so that you can avail of the early bird discount, which is PHP 300 less than the original price. You get a free shirt, bracelet, and shot glass with it, as well, so you know you’re getting your money’s worth. Just head on over to Station 4 (that’s the name of the club) in Station 2 to book your party. They also have the 15-shot challenge, wherein you can test out your tolerance (and your macho factor), for the chance to have your name on the Cocomangas Hall of Fame (a.k.a. the massive board behind the bar that has all the names of those who remained standing after finishing all 15 shots, regardless if you puked after or not). There is no time limit, so feel free to pace yourself when taking this on. 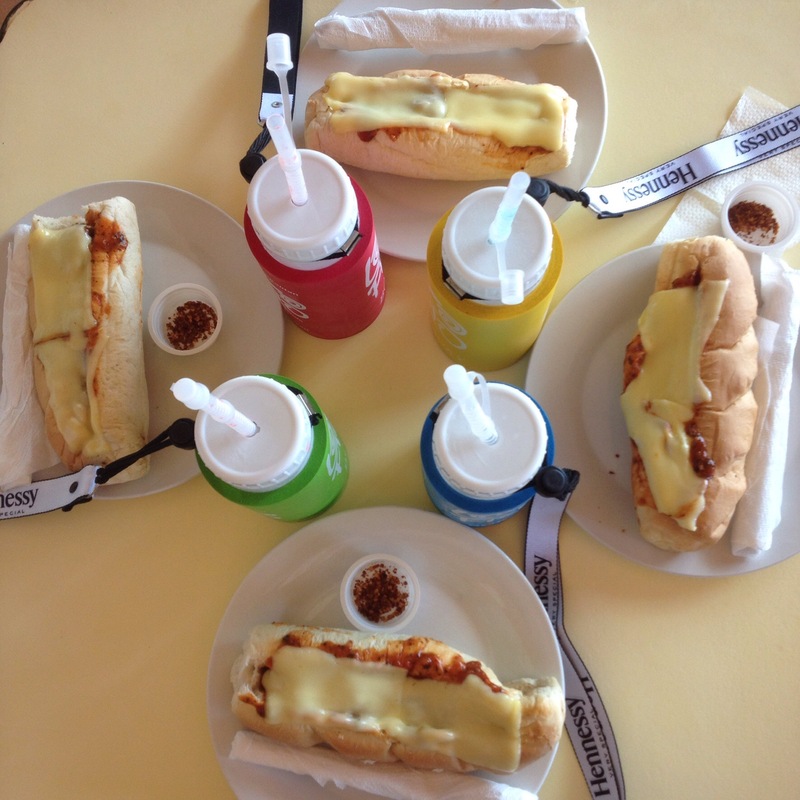 Travel tip: To avoid getting too drunk, make sure to eat beforehand. Oily foods tend to numb alcohol’s effects. Should you ever feel the need to puke though, (and trust me, you probably will) they have a bathroom out back where you can sober up. After a night of drinking and partying, you’re bound to get hungry. But since you’re probably going to finish at around early morning, one of the only things you can find open is the Chori Burger stand. 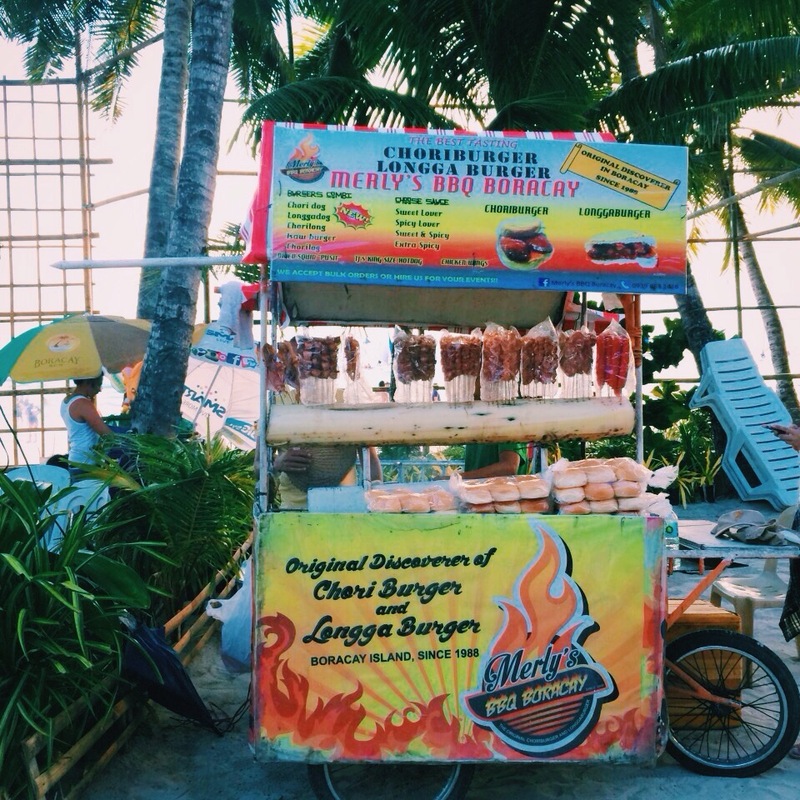 It’s really nothing special—fried chorizo with sauce in between two slices of bread—but it is a must-try while in Boracay. 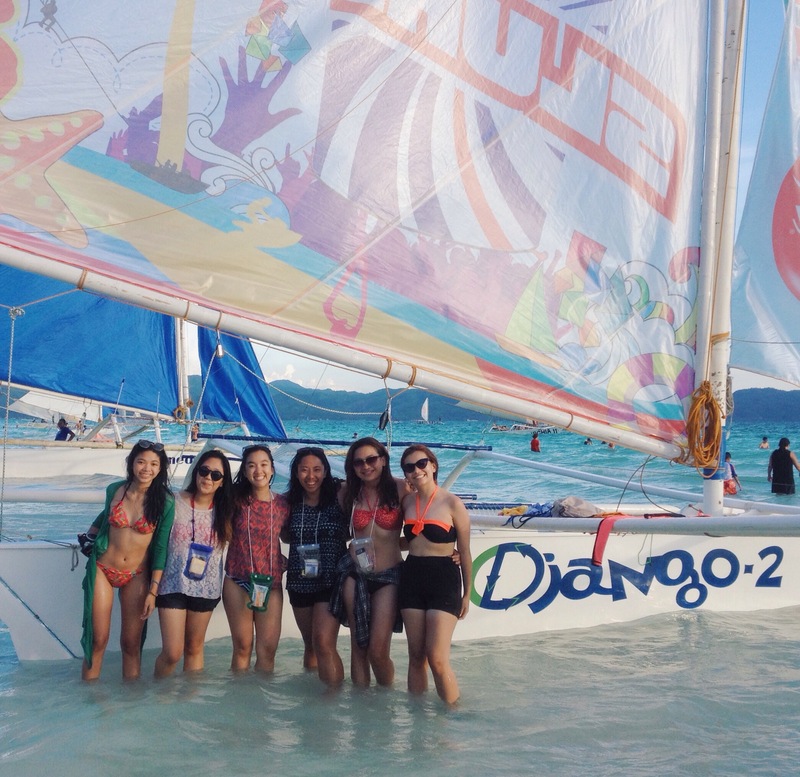 Now, we weren’t able to do much of this on our trip, but the last time I was in Boracay, I did a lot of water sports with my family. 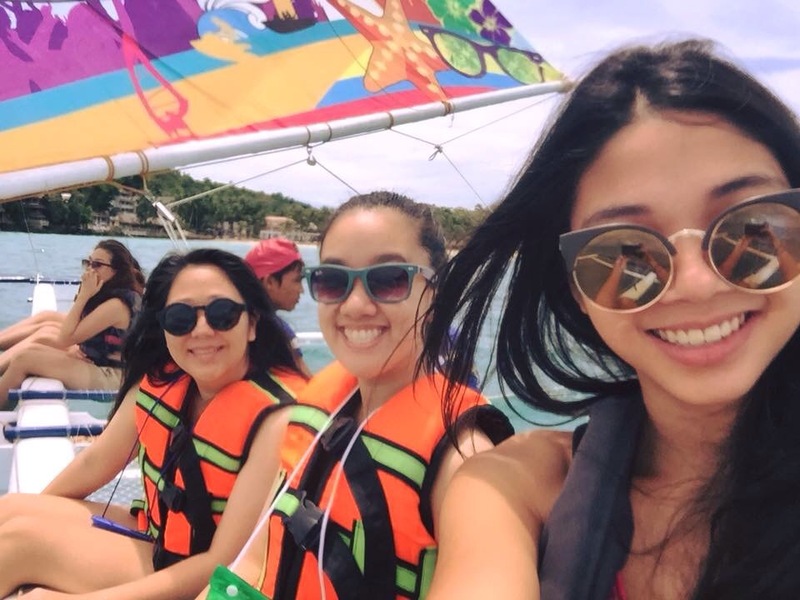 Some of the ones that you have to try are: flying fish, banana boat, and parasailing. Travel tip: Just like in booking your island hopping activity, you can book your water sports activities with the guys in blue. Remember, in front of Astoria in Station 2. When it comes to cheap and fair prices for activities, they’re the ones to trust. Forget watching the sunset on the beach! It’s better seeing it while you’re actually sailing in the sea. Travel tip: If you don’t have any waterproof gear on your gadgets, make sure to buy a waterproof pouch from one of the people selling them on the beach. The prices will range from PHP 50-100, depending on the person trying to sell it to you. You decide though, how much you’re willing to pay for them. Travel tip: Please do take care of the natural resources the island has to offer. 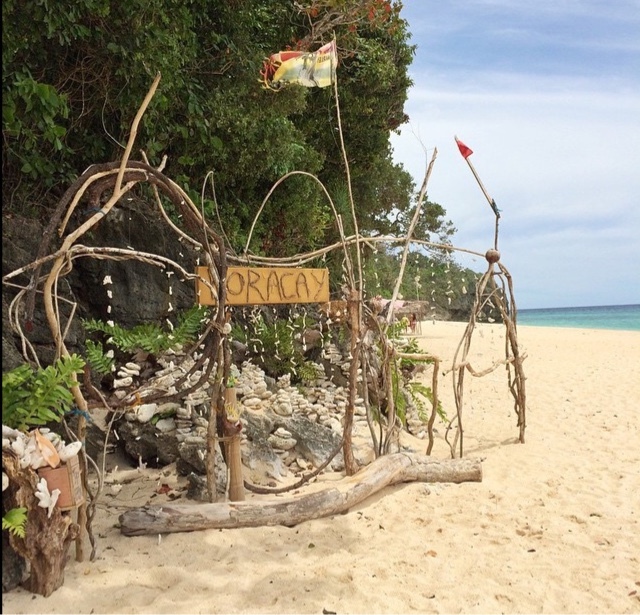 Given the rapid commercialization of the island, it’s understandable that it’s no longer easy to maintain the cleanliness of the area, but the least we can all do is preserve the beauty Boracay has to offer. 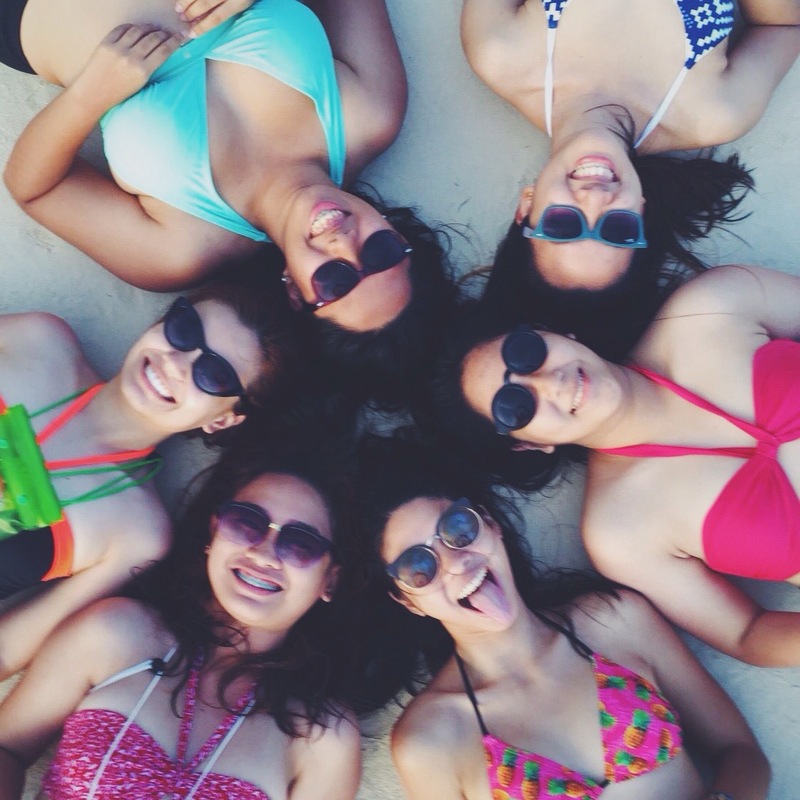 With accommodation, my friends and I wanted to stay on a budget but at the same time, we wanted to be comfortable. 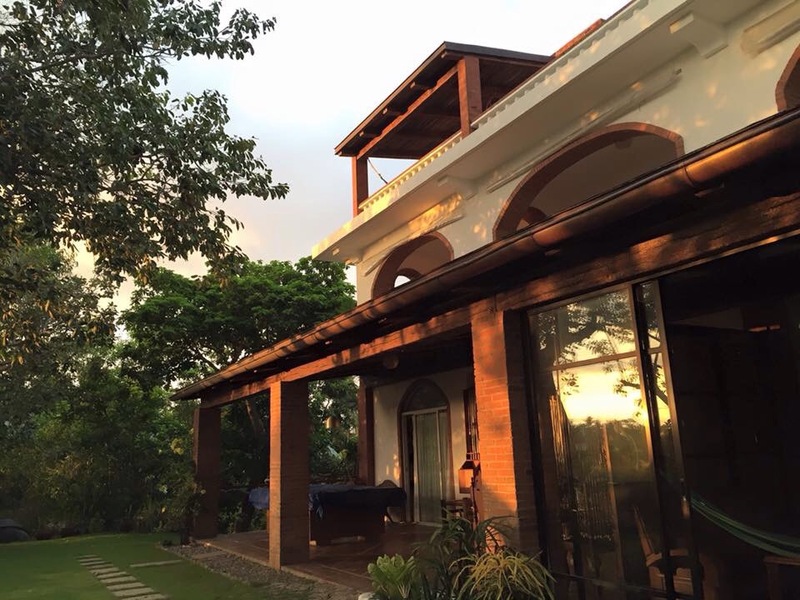 If you’re looking for both, go ahead and book your stay at Amihan Home in Station 2. It is literally, the perfect place to relax after a long day/night out on the beach. The accommodation itself isn’t a hotel, but more of an old house that was turned into a very beautiful and zen hostel. The rooms are spacious, as well as the bathrooms, and they have free wifi. They serve really good breakfast, too and if ever you would want to make your own breakfast, you can do so, as well. All you have to do is pay an extra P100 to use the kitchen. We had a really awesome experience staying here, and for sure, Ms. Grace and her staff will give you the same hospitable treatment. This was honestly one of the best trips I’ve ever been on, and it was amazing to have experienced a lot of firsts with my friends. 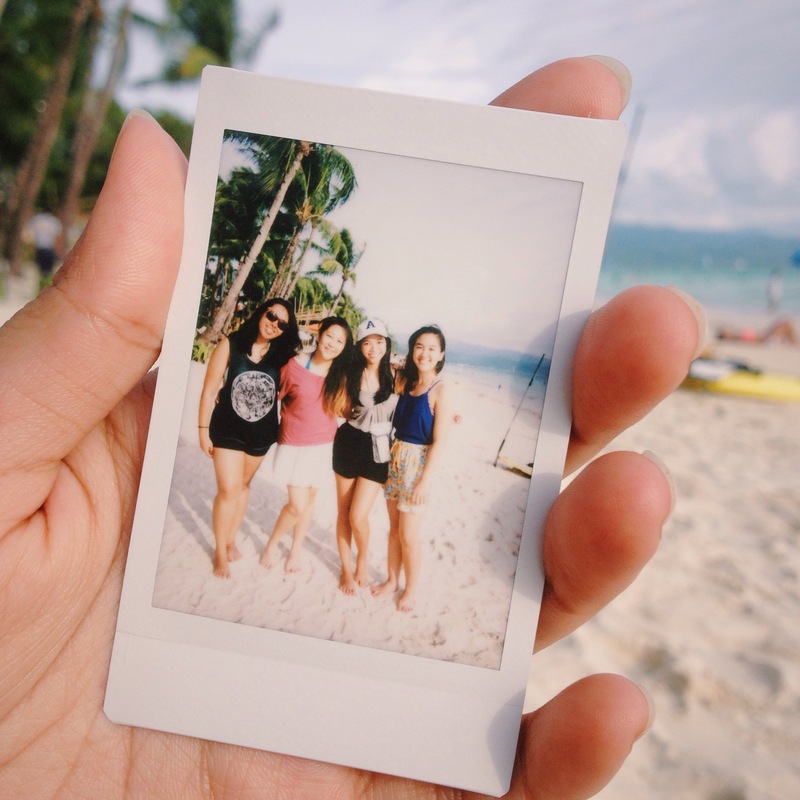 Five days wasn’t enough to experience everything in Boracay and it was bittersweet leaving the island.